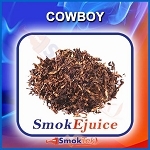 Desert Ship is a tobacco flavor inspired by the popular Turkish blend cigarettes. One of DeKang's most popular flavors! DeKang has recently changed the packaging for their e-liquid. You may receive some or all bottles that have different labeling than previous bottles. Please note that the highest nicotine strength for 10ml and 30ml size bottles is 24mg only. The highest nic level for 50ml size bottles is 26mg. 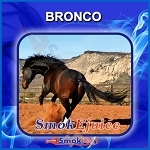 I love this product - it is a great Vapor and love the taste. I purchase the 18mg / 30ml and have used it now for several years. I ordered 24mg Desert Ship from this website and when I received it and put it in my e-cig I was happy that this is genuine Desert Ship from DeKang, not a knockoff. I'm not a fan of flavors that taste like fruit or candy or anything but tobacco. Desert Ship tastes like sweet tobacco and I plan on using the flavor for a long time because it's not a flavor I see myself getting sick of. This is both my Wife, and Myself's favorite vape. It produces a great deal of vapor, and flavor. The consistancy is thin, so it does not clog up our PVs. This is the one we are sticking with. How about a bigger bottle? I have tried so many different kinds of "camel" ecig liquids, and none of them were any good. This is the only one I have found that hit the sweet spot. Buy it, you won't be sorry. Trying the organic one next! my second favorite Tobacco flavor I've tried. My cigarette of choice is camel filter This has a similar quality to them. Still has a bit of the taste of how cigarettes smell before being smoked like alot of other liquids, but not to the point of tasting like honey. it's vary clear in color. GREAT E-LIQUID! I've tried 6 or 7 other supposedly tobacco flavored juices trying to find something close to a real cigarette. Desert Ship by DeKang is hands down the closest I've found. It is actually the only tobacco flavored juice that I like to vape. All of the others didn't even taste like tobacco to me. My favorite blend. Not too strong. Not too sweet. Perfect for those looking for a regular cigarette taste. I love this E-Juice. Perfect for someone quitting Cigarettes. Great Flavor. I get the 18mg Nic level. Also the service from Smoktek is spot on. Fast shipping and nice folks there. I originally bought Desert Ship from a different vendor and immediately fell in love with the flavor. That vendor discontinued it and I came to find out that it was rebranded liquid, and so began the quest to find the original manufacturer. I bought some truly awful and incredibly nutty varients of "Desert Ship" from other vendors before discovering that this here is the real deal. 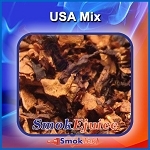 Great tobacco flavor, bargain price. My only gripe is that this isn't sold in 100+ ml bottles. This product is superb. But more superb is this company - I love to sing their praises. When I have had problems with the postal service delivering my order, SmokTek jumped right in and resolved everything. Communication was prompt, clear, and informative. These are a great bunch of people and I recommend them. Q: Does anyone know if Desert Ship/Camel is the same as Dekang Desert (this is the name on what I buy at my local vape store)? Thanks. We’re glad to help! The DeKang Desert Ship/Camel is the same as the DeKang Desert Ship. Some places, us included, add the Camel notation to highlight that the flavor is based on Camel Blue (light) cigarettes. I'm really glad to hear that you and your brother really like the DeKang Desert Ship E-liquid! I believe that your brother can make arrangements with the post office to pick up the package, rather than having it delivered. There isn't a shipping option that accomplishes this, but I'd encourage him to contact his local USPS with this request. He can also have it shipped to his place of business or get a PO box. Q: Do you guys sell a 50/50 mix for the camel/desert ship? Thank you for reaching out to us! 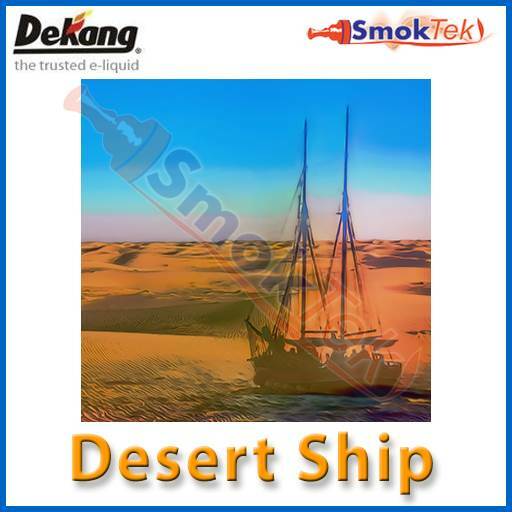 At this time, we only carry the Desert Ship E-Liquid by DeKang in an 80/20 (PG/VG) mix. Q: When will Camel/Desert be available? - Also, rewards show 86 points which should be $4.30 but the gift certificate shows only $2.50. Why the difference?